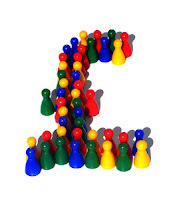 Moneycation: Will peer to peer lending solve UK business growth problems? Will peer to peer lending solve UK business growth problems? It seems the banks still aren’t happy to shell out loans or at least not substantial ones. This can have a big effect on small businesses and business growth. According to a report from the Bank of England, small businesses have borrowed somewhere in the region of £100 billion up until the end of 2012. The good news is that in all regions with two exceptions, deposits from small businesses have exceeded the borrowing. The two exceptions are the South West and Wales. Next year the government will receive details of local lendings from the big seven banks. This seven reputedly account for around 80% of all loans. These reports will enable them to see which areas are suffering most from lack of funding. It promises a definite improvement in banking transparency. In the meantime, the UK’s small businesses struggle to expand and grow their businesses and many are turning to short term loans via peer to peer lending. Peer to peer lending makes a lot of sense. One business or entrepreneur has money to spare and often cannot get a good return on investment – we all know about low interest rates. They make this money available to those looking to borrow money. It is like a personal loan but with safeguards. There are several lending platforms like Zopa, PiggyBank and Funding Circle which can offer the money to would-be lenders. They usually split up the money so that investors loan to several people or companies rather than just one. Again this minimises the risk for the investor. The short term loans are just that. The company offer these peer to peer loans for a fixed period usually relatively short term. The person or business borrowing the money has to show that they can repay the loan at the end of the period. The lending platform company will assess this and make the loan available if this is proved. For the investor returns on their loaned cash can earn them between 2 and 12 %. That can’t be bad when you consider the poor returns currently available from the big banks. Their interest rates are mostly well under 2%. Short terms loans are agreed to cover emergencies or short term cash flow situations. Each prospective borrower will be vetted for their ability to repay and details of the loan contract given. Of course short term loans can be extended but they will cost. Interest rates rocket and you will end up paying back much more than you borrowed. While the lending platform is usually very clear about this, it is best not to go down this route. Use your short term loan as it is intended and repay on time. About the author: Rob Rudd has become more and more interested in the concept of peer to peer lending and has recently signed up himself, as a lender for a business loans lending scheme.